These stories are about two war heroes, but not just about the actions that made them heroes. The stories are also about the extraordinary lives and personalities behind their heroism. His name suggests a noble lineage but you’d never guess that was the case, judging from the humble way Tommy Price went about his life, although perhaps you would had you known how his bravery saved countless lives during the Second World War, and even years later. After the war broke out in 1939, Tommy tried to enlist. The Canadian Army refused repeatedly to enlist him even though he easily met the requirements. 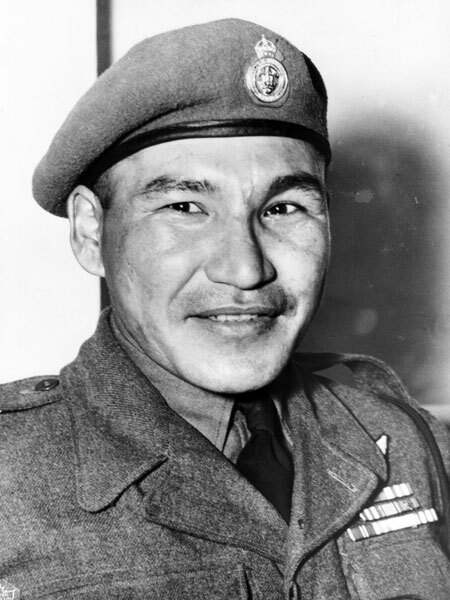 He was finally signed up in June 1940 and went on to become Canada’s most decorated First Nation soldier, honored by Canada, the United Kingdom, the United States. France, South Korea and the United Nations. Tommy grew up poor, one of 11 children on the Brokenhead Ojibway First Nation Reserve south of Lake Winnipeg. Propelled by boundless energy and a passion to excel, Tommy at an early age became a superb marksman and exceptional tracker. Both skills were a result of years spent hunting in the wilderness around his home reserve. As an adult he followed the example of his great-great grandfather, Saulteaux Chief Peguis who in the late 1700s paved the way for European settlement in southern Manitoba. During one brutal winter Chief Peguis was credited with saving the lives of scores of white settlers, even though many of them were in violation of treaties he had taken a lead role in negotiating. Like his regal ancestor, Tommy became a leading advocate for indigenous people, and for several years represented the First Nations people of Manitoba in negotiations with the federal and provincial governments. He became respected for being quietly passionate yet doggedly persistent in his quest to gain equal rights for his people. Tommy was once quoted as saying: “All my life I’ve wanted to do something to help my people recover their good name.” And so he did. Tommy Prince built a prosperous cleaning business in Winnipeg, married and became the father of five children. While living there, his latent humanity and courage came to the fore one day when he ignored danger to himself and rescued a man from drowning at the Winnipeg docks. His work on behalf of First Nations peoples often took him to Ottawa for extended periods and away from his family and business. He recruited some friends to look after his thriving business in his absence, only to find on his return they had allowed the business to fail and had sold the assets. Stoically, with a family to support, he went to work in lumber camps and at a concrete factory, his civilian life in sharp contrast to his wartime achievements. Tommy had done exceptionally well in the army, first as a Field Engineer and then with the Canadian Parachute Battalion. He was among a select group chosen to train with a specialized assault team, the 1st Special Service Force, predecessor to today’s special forces The SSF was so effective behind enemy lines that his team was nicknamed by the German Army as the Devil’s Brigade, with good reason. A motion picture by the same name was based on its exploits. Posted to Italy in 1943, his Special Services battallion was among the units that led the assault resulting in the liberation of Rome by the Allied forces. Two of his remarkable individual achievements, and there were many, occurred in 1944 during the campaign to drive the Nazis out of Italy. In the first, Sgt. Tommy Prince had been tasked to spy on the German forces. He set up an observation post in an abandoned farmhouse behind enemy lines. For three days he reported on the activity he was observing in the nearby German Army camp. Soon, shelling severed his communication wire. Undaunted, Tommy donned civilian clothing and acted like an Italian peasant farmer tending his crops. While pretending to tie his shoes, in full view of enemy troops some 600 feet away, he successfully repaired the broken 4,600-foot telephone wire leading back to the Allied lines. Before returning to his observation post, and while attempting to strengthen the ruse that he was a local peasant, Prince made a show of shaking his fist at both German soldiers and in the direction of the Allied lines. He continued to spy on the German army for the next 24 hours, resulting in the destruction of four German artillery batteries that had been shelling Allied positions. Later that summer, he walked across miles of mountaneous terrain behind enemy lines, going days without food or water to locate and spy on a German Army camp. He returned to his unit with intelligence that resulted in the capture of 1,000 enemy troops and the destruction of the camp. For those and other acts of bravery, Tommy was invited to Buckingham Palace after the war where King George VI presented him with Britain’s Military Medal and the United States Silver Star, two of 13 medal he would be awarded during WWII and the Korean War. At the outbreak of the Korean War in 1950, Tommy re-enlisted in the Canadian Army to fight with Canada’s contribution to United Nations forces. “As soon as I put on my uniform again I felt a better man,” he said. Tommy joined the storied Princess Patricia’s Canadian Light Infantry (PPCLI), the first Canadian regiment to arrive in the Korean war zone. He became famous for leading raids into enemy territory, in one case returning with two prisoners. Although successful, Tommy’s comanding officer cancelled the raids, calling them too risky. Sgt. Prince was wounded in November 1952 during his second tour of duty in Korea during a battle in which the PPCLI successfully recaptured a strategic outpost. Five of his fellow soldiers were killed and eight others wounded. Tommy returned home following the armistice and continued with the Army, first as a recruit instructor and then as a civilian employee until September 1954. It is a cruel irony that during all of the years Tommy gave of himself to his country bravely and unselfishly in time of war, our same country was refusing him the right to vote or to receive war veteran benefits, just because of his ancestry. Those blatant discriminatory practices have since ended. 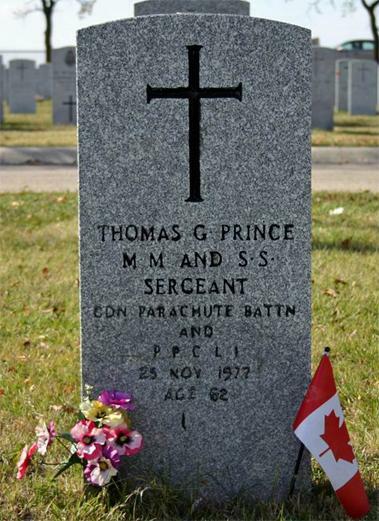 Perhaps the efforts of Tommy Prince, in peace and in war, contributed in some way to the elimination of those dark elements of Canada’s history. Tommy Prince was born on October 15, 1915 at Canterbury, Manitoba. He died at Deer Lodge Hospital in Winnipeg on November 25, 1977. He was 62. Tommy Prince Road at Currie Barracks in Calgary, AB. Perhaps it was the unassuming and humble way he carried himself, but day after day hundreds of cadets at the US Air Force Academy in Colorado Springs, CO, would pass the janitor in the hall, oblivious to the greatness among them. During the mid-1970s, William Crawford would spend one day sweeping the halls and another cleaning the bathrooms. But it was a day some 30 years earlier that would create for him a special place in the history of war. Back in 1943, the only things Private William Crawford was cleaning out were German machine gun nests and bunkers durng the Allied campaign in Italy. Under heavy fire and at great risk to himself, William Crawford’s gallantry was so audacious that it earned him the Medal of Honor, the highest military honor the United States can bestow on one of its heroes. And yet, for the cadets at the Air Force Academy, it would take one student’s study of the Allied campaign in Italy to realize who it was who walked among them. Once the cadets realized the humble janitor was a recipient of the nation’s highest military honor, none were ever able to look at him the same again. The secret was out. William Crawford was born in 1918 in Pueblo, CO. For Crawford, he would always call the state of Colorado home despite serving a long career in the military where he was assigned to various duty stations. It was after retiring from the Army that he returned to Colorado and took up his job as a janitor at the United States Air Force Academy in Colorado Springs. The cadets would report that the shy janitor they had known only as Mr. Crawford simply blended into the background as he did his job without fanfare. But when that cadet began reading a book detailing the Allied advance through Italy he came upon the story of a Medal of Honor recipient named William Crawford. By September 1943, the Allies were pushing through southern Italy slugging it out with a resilient German army. For Crawford and the 36th infantry division, that would place them near Altavilla Silentina with orders to take Hill 424. On September 13th, Company I was assaulting the enemy held position on the hill when the entire company was pinned down by intense machine-guns fire and mortars. Serving as the squad scout for third platoon, Private Crawford was near the front of this assault and located the first of the gun positions wreaking havoc on the company. Without orders, he took it upon himself to eliminate the threat single-handedly. Under heavy fire, he crawled forward to within a few yards of the gun emplacement and lobbed a grenade directly on top of the three enemy soldiers. Meanwhile, the rest of the company finally made it to the crest of the hill when they again came under heavy fire from two more machine gun nests entrenched on a higher ridge. Again on his own initiative, Crawford set out to destroy the threat. Crawling under a storm of bullets, Crawford came upon the first machine gun nest and with perfect accuracy once again landed a grenade right in their laps. Moving on to the second gun, he was able to take it out of action causing the rest of the defenders to flee. Thanks to Crawford’s gallant actions, Hill 424 was successfully taken and the Allied advance continued. Unfortunately for Crawford, his position at the front of the assault would eventually lead to his capture by the Germans during the chaos of the battle. The rest of the company believed Crawford was killed in action as the reports of his gallantry advanced up the chain of command. For his actions that day in Italy, William Crawford was ‘posthumously’ awarded the Medal of Honor. In 1944, the medal was presented to his father who accepted it on behalf of his son he presumed to have died in combat. But later in 1944 when a group of soldiers was rescued from German captivity, it turned out William Crawford was among them, oblivious to the fact that he was now the recipient of his nation’s highest military honor. Crawford would continue to serve in the military after World War II and retired in 1967 with the rank of Master Sergeant. After his distinguished career in the military, this unassuming man took a job as a janitor at the United States Air Force Academy in Colorado Springs. It was here in 1976 that the truth came out, and future Air Force officers would get a lesson in both gallantry and incredible humility. As the cadets looked upon their janitor with a newfound respect, they eventually coaxed the painfully shy man into speaking about his experience to the next generation of leaders. In one exchange, Crawford mentioned that he had never personally received his Medal of Honor with any ceremony due to his captivity and presumed death. The students and staff of the Air Force Academy took note and made plans for him to have his day. In 1984 President Ronald Reagan came to speak at that year’s graduation ceremony. The Academy arranged for their gallant janitor to finally stand face-to-face with the President of the United States and receive his due commendation. William Crawford died at the age of 81 in 2000 at his home in Colorado. Although Crawford was a veteran of the Army, he would become the only non-U.S. Air Force enlisted person ever to be buried at the United States Air Force Academy Cemetery in Colorado Springs. CREDITS: Much content for these stories first appeared on PacificParatrooper.com and is used with permission. My sincere thanks to blog host GP Cox. The Tommy Prince story draws also from the files of HistoricaCanada.ca and newspaper archives, and from listings for a movie about Tommy: http://www.imdb.com/title/tt1539116/?ref_=fn_al_tt_1. Here’s the link to the Pacific Paratrooper story: https://pacificparatrooper.wordpress.com. Thanks for sharing these wonderful stories, my friend. These tug at the heart! Really appreciate your feedback my friend. So sad for you and yours for that tragedy on Sunday near lovely San Antonio. Thank you so much Edna. I really appreciate hour comments. Excellent! I did posts on both these men as well – these are the role models our children should look up to!! Much appreciated your posts and gave you well deserved credit at the bottom. And that was greatly appreciated. Hopefully, more will look into stories like this!! 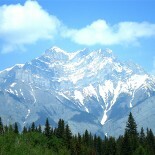 This entry was posted on November 5, 2017 by James Osborne in Collected Short Stories and tagged Air Force Academy, allied, Allies, Buckingham Palace, cadets, Canadian Army, Canadian Parachute Batallion, Chief Peguis, Colorado Springs, Csnada, enemy, enemy lines, England, Europeans, federal, First Nations, First Nations Reserve, France, German Army, Germans, government, governments, hero, heroes, humility, Indigenous, Italy, janitor, King George VI, Korean War, Lake Winnipeg, machine gun, machine gun nests, machine guns, Medal of Honor, Military Medal, Ojibway, Ottawa, PPCLI, Princess Patricia's Canadian Light Infantry, provincial, Rememrance Day, Ronald Regan, Second World War, Sgt. 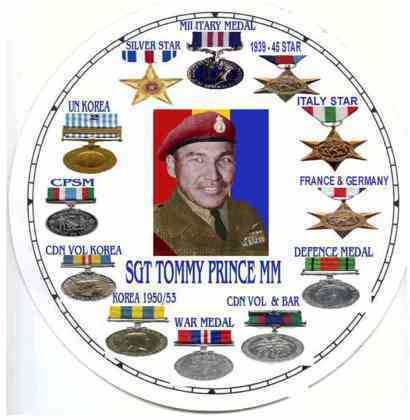 Tommy Prince, Silver Star, South Korea, special forces, United Nations, United States, vote, war, white settlers, William Crawford, Winnnipeg.